Börek (also burek and other variants) is a family of baked or fried filled pastries made of a thin flaky dough known as phyllo (or yufka). It can be filled with cheese, often feta, sirene or kaşar; minced meat, or vegetables. Two-coloured hoodie with double fabric and adjustable draw cord. Kangaroo style pocket. 1x1 Rib elastane on cuffs and waistband. 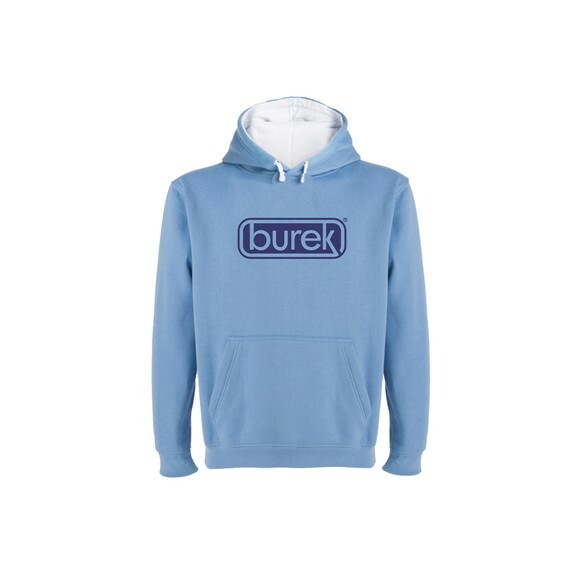 65% polyester / 35% cotton, brushed fleece 280 gsm.